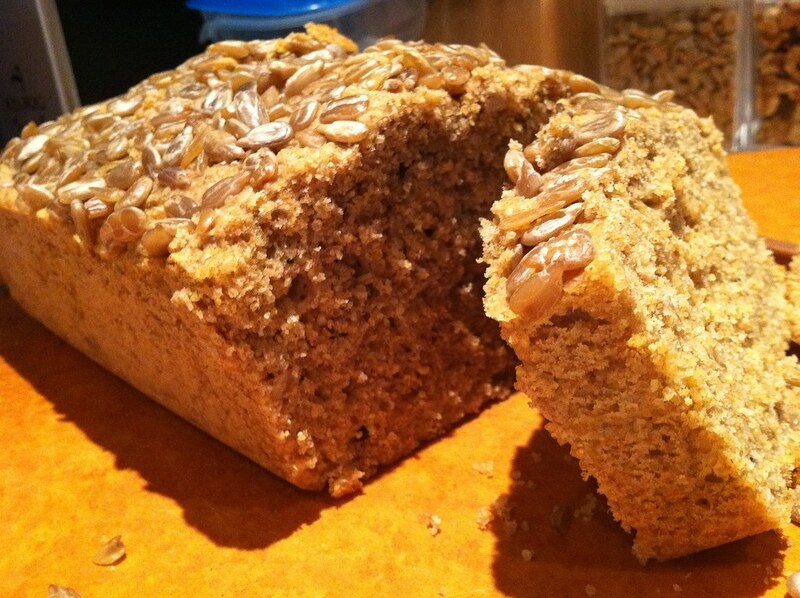 angelica kitchen’s amaranth and sunflower bread – ugly food tastes better. I am making this bread its own post, even though I made it for my angelica kitchen’s marinated tofu sandwich post. It turned out so well and was so delicious on its own that it deserves it. I am not surprised though. The fresh made breads at Angelica Kitchen are always great, and their spreads make me melt. I just purchased their cookbook so I can learn their wonderful ways, and I am pleased to say that this bread was a success on my first try! I was looking for good, yeast free bread recipes, and this was not only perfect but very easy, which is NOT a word I usually apply to bread making. Now, I personally had never heard of amaranth previous to making this. 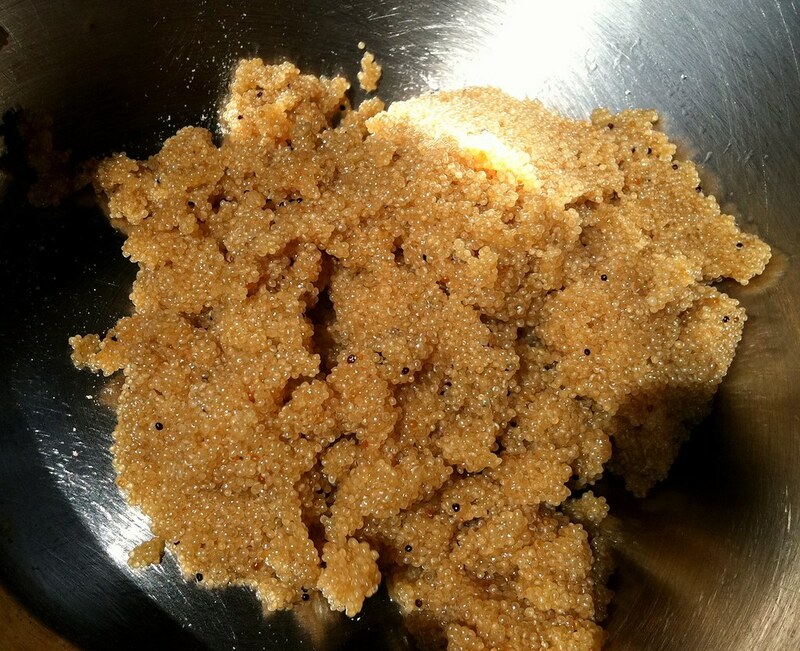 Now I know that it is yummy and looks like baby quinoa! All you have to do is boil your water with 1/4 tsp of the sea salt and then toss it in,stir,lower the heat, cover,and simmer until the water is absorbed. It took mine a little over 30 minutes, although the book says 45. Cooked, it looks like this, please excuse the odd photo, I was mid morning and super bright and sunny in my kitchen. While that is cooking, preheat the oven to 350 and spread 1/2 cup of the sunflower seeds on a baking sheet and toast for 10 minutes, then remove and let cool. In a smaller mixing bowl, stir together flour, cornmeal, baking powder and soda, 1/2 tsp sea salt and toasted sunflower seeds. 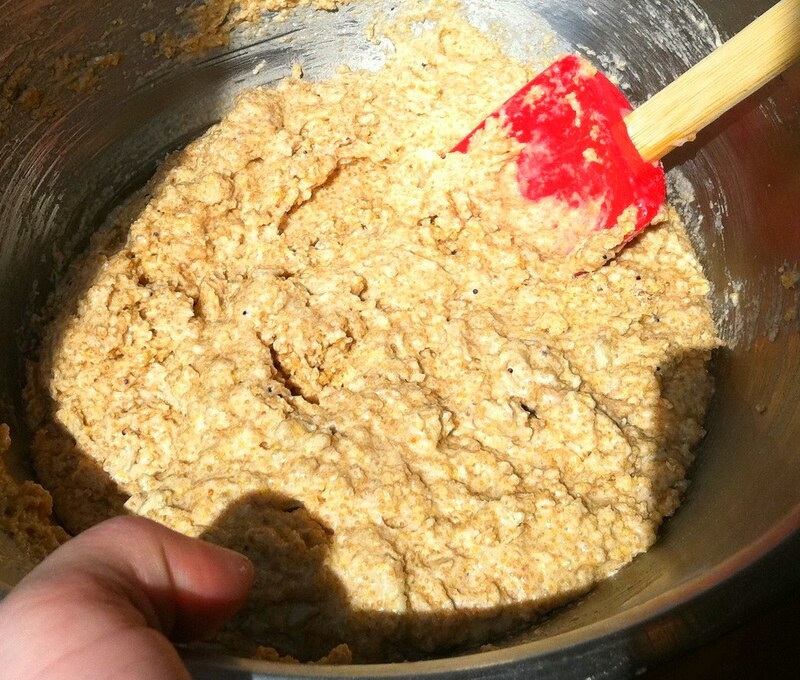 In a larger mixing bowl, whisk milk with cooked amaranth, olive oil, apple cider vinegar and maple syrup. Combine and mix thoroughly. It should have a wonderfully light and fluffy, almost porous texture. 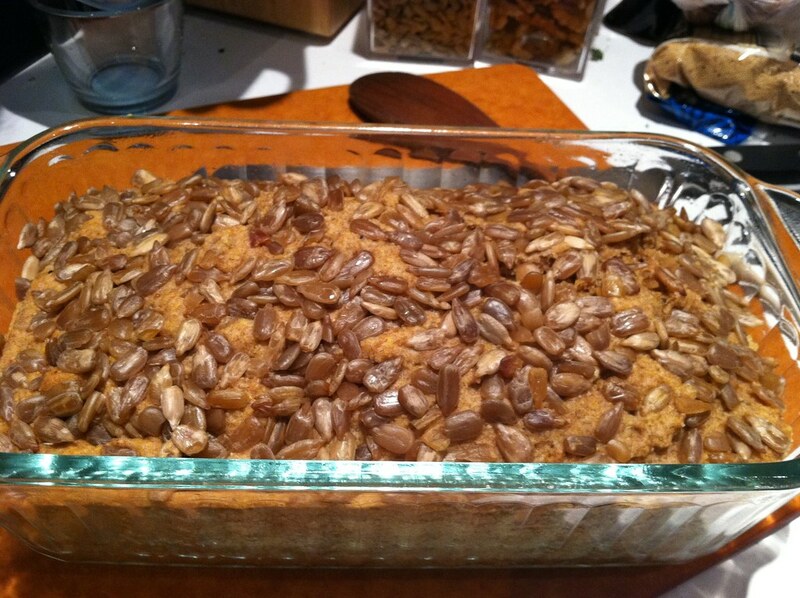 Lightly oil your loaf pan, and pour your batter in,topping with the remaining sunflower seeds. Bake for 45 minutes at 350 and then let cool for at least 2 hours before slicing. For the full sandwich recipe, please click here. 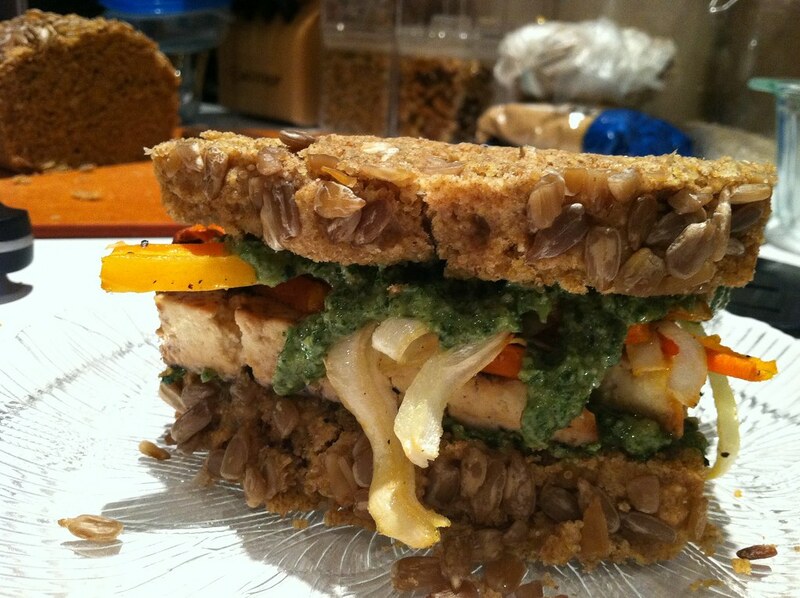 Pingback: angelica kitchen’s marinated tofu sandwich – lemon rosemary baked tofu, walnut pesto and roasted carrots and onions on amaranth sunflower bread | ugly food tastes better. Delicious! Am loving the pictures too! So many colors!